She could have chosen a different route that might have saved her own life, but Karisa Bugal made a choice that ultimately saved her unborn son. 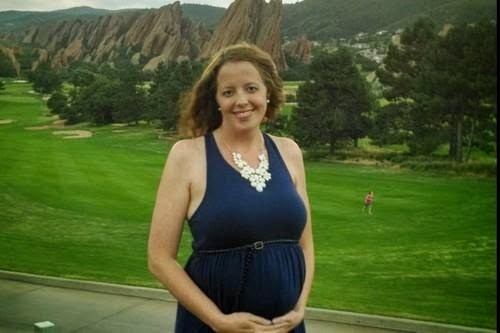 The 34-year-old Colorado woman died Nov. 4 shortly after giving birth to Declan Jay, after suffering a rare amniotic fluid embolism, KUSA reports. "It is important to note," the foundation continues, "that even with the best and most responsive care, some women will simply not respond to life saving measures." This serious type of embolism—which the Mayo Clinic says occurs when amniotic fluid or fetal matter enters the mother’s bloodstream—only happens in 1 to 12 cases for every 100,000 deliveries. "We don’t know how to prevent it. We don’t know how to keep it from happening at all," one of Bugal’s doctors tells KUSA. Right after Declan was born at a healthy 7 pounds, 4 ounces, Bugal managed to ask, "How big is he?" before she was rushed to ICU, the GoFundMe page notes. Bugal would have celebrated her eighth wedding anniversary with her husband, Wes, on Nov. 5, and her 35th birthday on Nov. 8. Now Wes is left alone with their son and young daughter, Mallory. “How do I explain when he asks where’s mommy?” Wes Bugal asks KUSA.